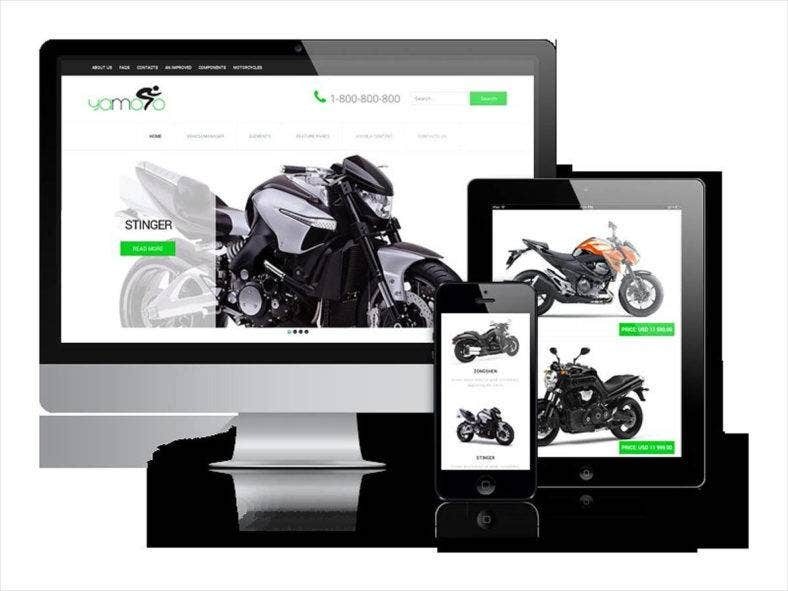 Some of the best automobile and motorcycle dealer websites, sports and recreation websites, and similar online portals are custom-created on WordPress, Joomla, HTML, and Drupal platforms. But not every such business needs to spend hundreds of dollars in hiring a web designer to get their site online. 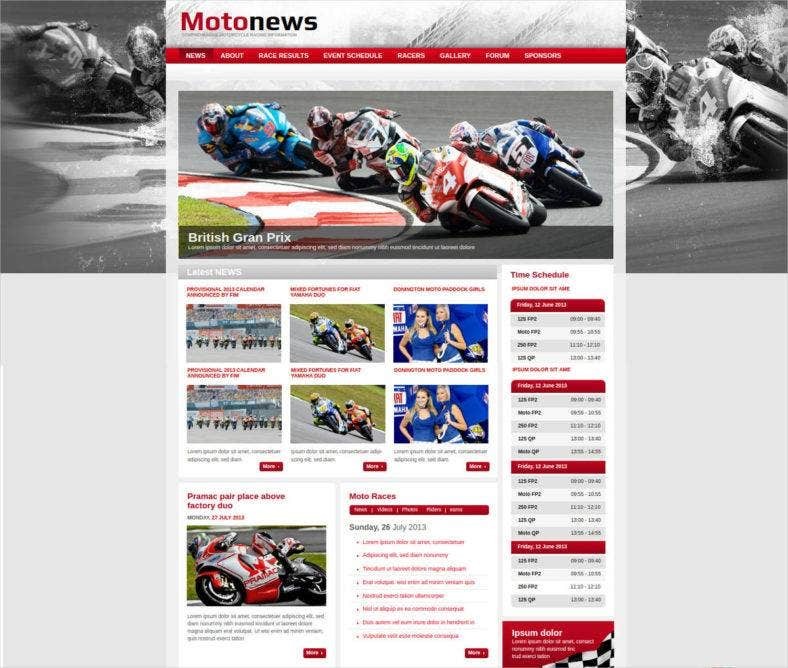 There are many Sports Website Template and motorcycle Website Template choices that are available for free or affordable premium prices. Most of the following templates incorporate modern website building elements and make it easy to design a website with minimal or no coding knowledge. 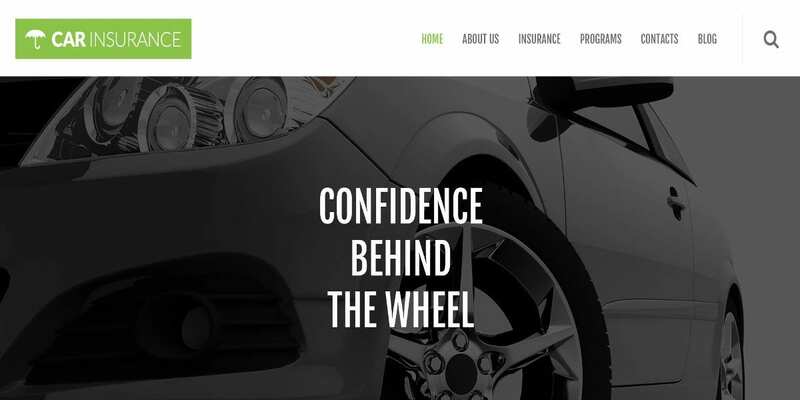 Car insurance companies can offer their customers a great website experience with feature-rich themes like the Car Insurance Responsive WordPress theme. This is a simple and minimal professional theme that is easy on the eyes and comes with an admin panel that makes the template fully editable. You can quickly upload a variety of custom post types and formats, translate them to other languages, and use over 80 shortcodes for customization with the theme. 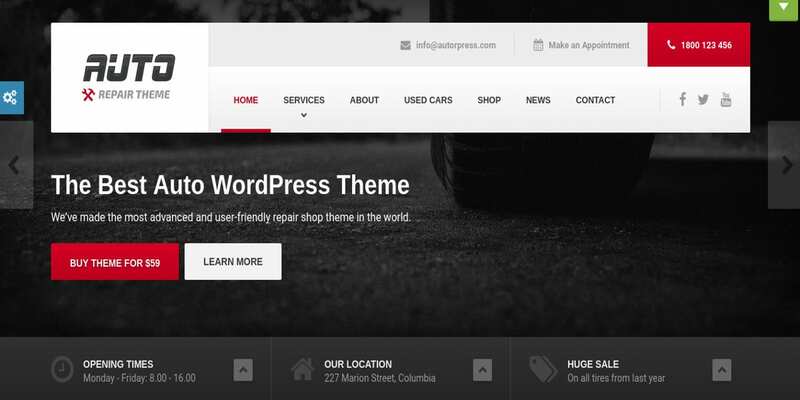 Auto is a WooCommerce ready theme ideal for car mechanics and auto repair shops. The one-click installer makes it easy to import demo content and get your website live in minutes. It is a responsive and retina ready theme with a real-time customizer, several supported extensions like Visual Composer, Slider Revolution, and WPML.org. 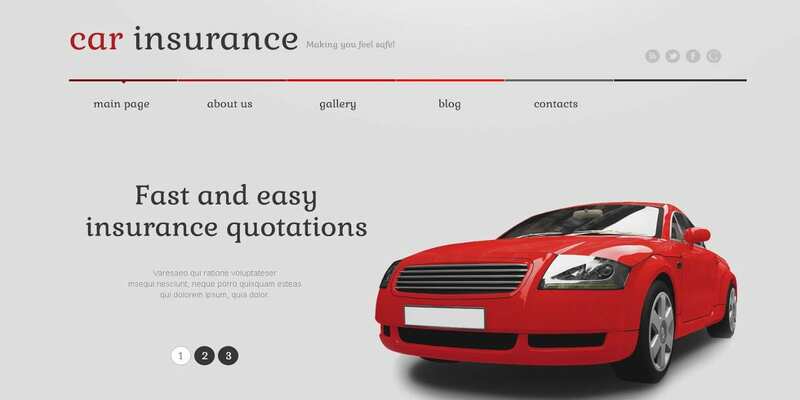 This is yet another Car Insurance Responsive WordPress Theme with a light and neutral design. It has a 2-column layout that is bootstrapped and built on the Cherry Framework. Features include drop down menu, Favicon, Google Map and Google web fonts, social option, sortable gallery, tag cloud, tooltips and more. Several gallery scripts including carousel and accordion are available for adding effects to your website. 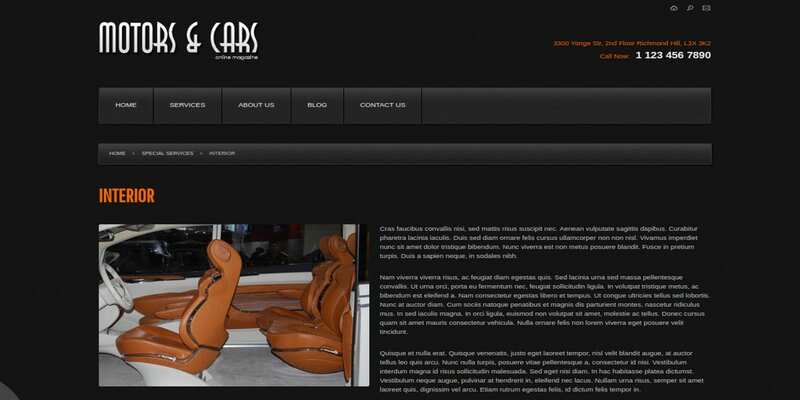 Car wash businesses can also find custom-built templates to create their website with the Auto Spa template for Joomla. The template is a retina ready and responsive theme that comes with a user-friendly Page Builder to design a feature-rich website without any coding. It also includes an off canvas menu (with a separate mobile menu), Megamenu builder, sticky header, unlimited colors and more. This Joomla Template is designed for car washes and auto service companies. It has a clean and bright interface that is pleasing to the eye. Features include MegaMenu that lets you create and manage professional menus, modern sliders for showcasing important images and information, background video for a great visual experience, and a lot more. 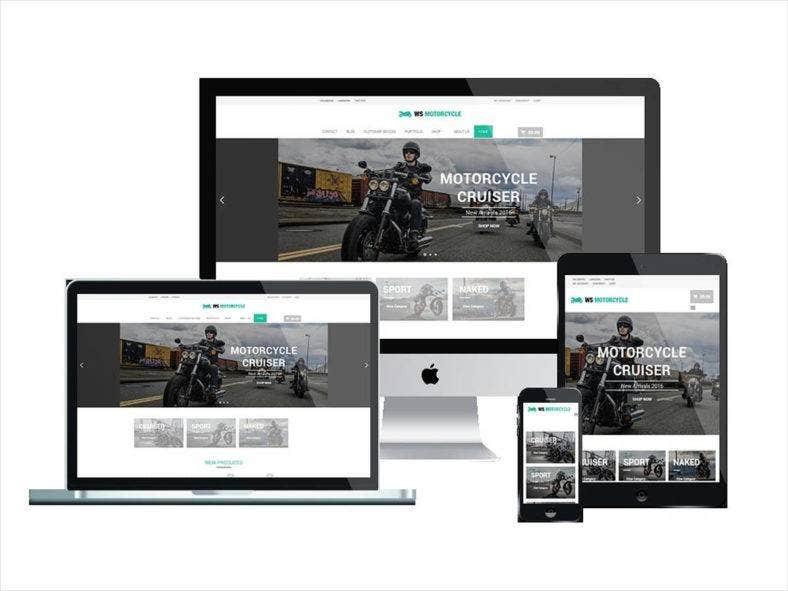 If WordPress is your preferred content management system as an auto dealer, you can use the Car and Motorcycle Dealer Landing Page WordPress – RPM for creating a bootstrapped and responsive website. The theme comes with a responsive lightbox so that information can be viewed without having to open a new page. The theme also comes with a justified gallery and free support. 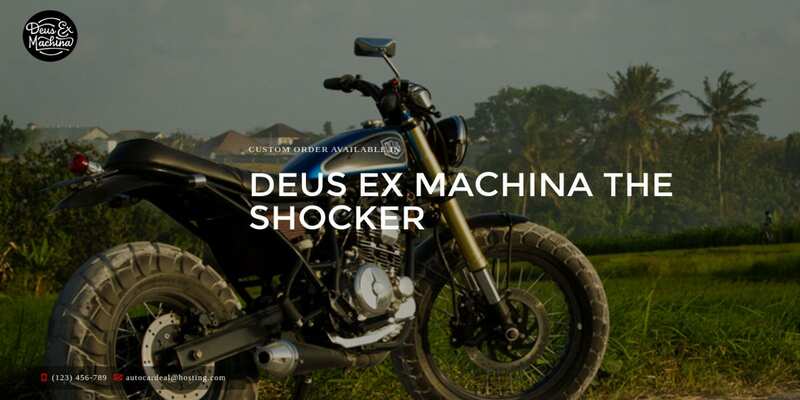 Yamoto is a light and cool motorcycle website template from Joomla that lets you showcase vehicles without distractions. The theme has a Quickstart package to minimize the effort needed for creating a basic website. 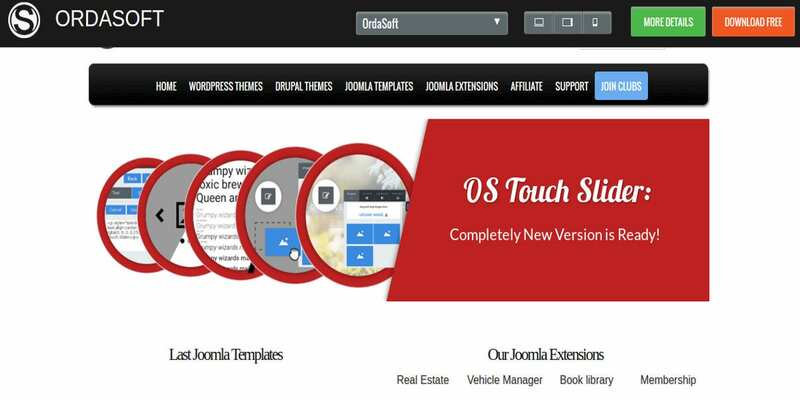 You can then use a Joomla slideshow, Google Maps module, Joomla image gallery, and other features to personalize the website. Despite WordPress and Joomla, HTML continues to be a popular modern choice for website building. 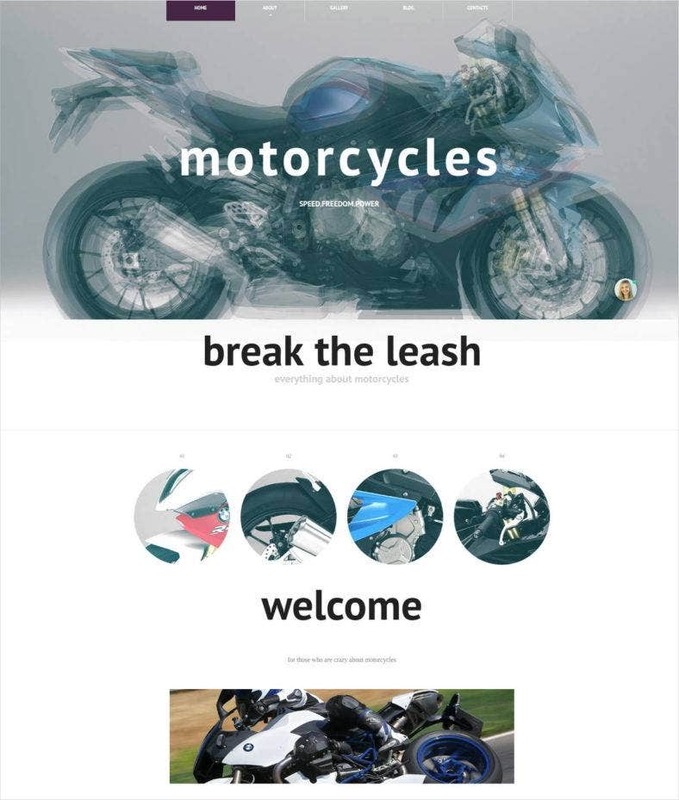 The Motorcycle HTML template is a simple and attractive website with a combination of modern sliders, portfolios etc. and classic tables. Features include lightbox, bootstrap framework for a responsive layout, left/right and full-width pages, over 100 shortcodes, 4K ready design and more. 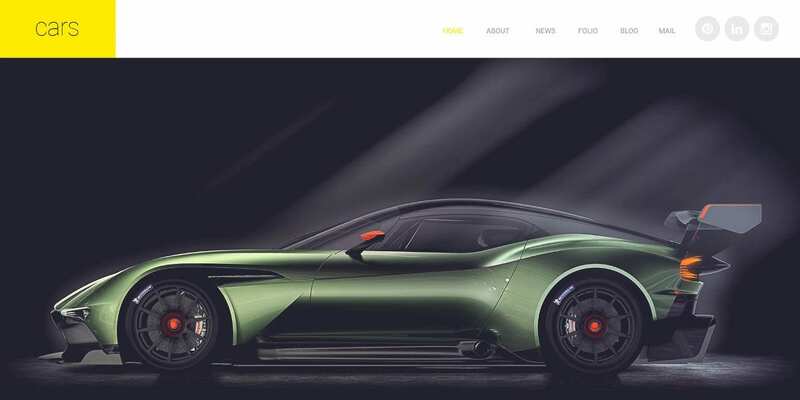 Cars Joomla template is an attractive and modern Joomla theme that lets you use parallax for creating interesting effects of depth on your website. It includes a Komento comments extension, SEO friendly design, retina ready photos, trendy colors, and clean and valid coding. You don’t need coding skills to set up a site with the Cars theme. 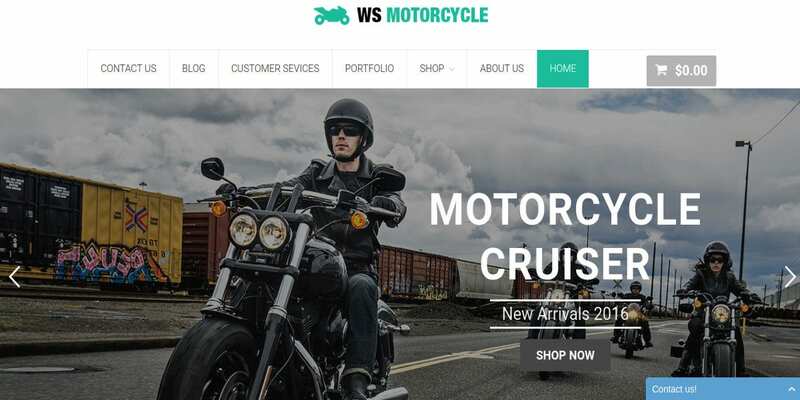 The WS Motorcycle WordPress Theme is a layered theme which lets you drag and drop elements to quickly create a responsive and beautiful website for showcasing motorcycles and automobiles. The theme looks great on all devices and the unlimited color picker and admin panel lets you customize the theme to your liking. 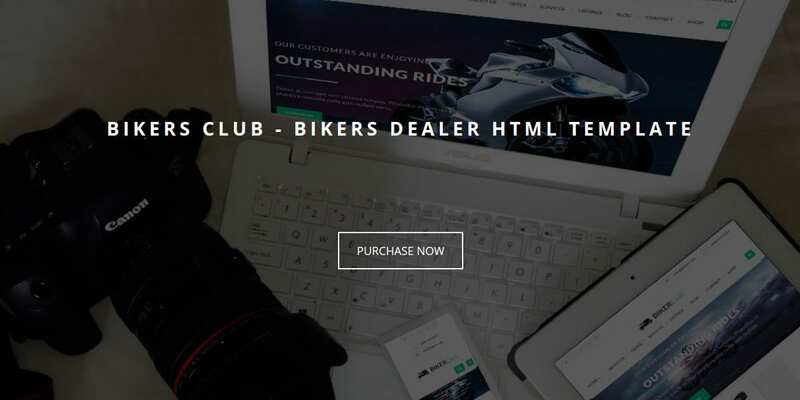 BikersClub is a bold and bright HTML Template that can be used by bike owners, bike clubs, bike shops, and others. 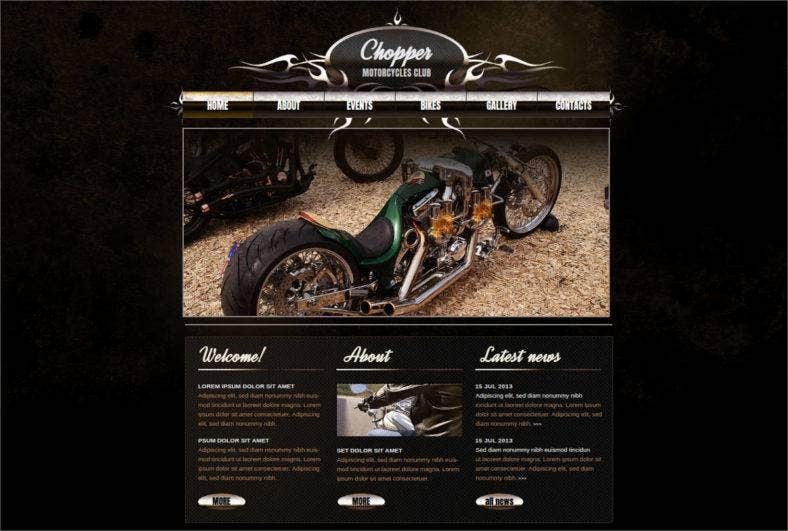 It is a responsive template with three home pages, shop pages, blog pages, and more. The theme is bootstrapped and lets you customize it with unlimited colors. Light and dark versions are also included in the theme package. Bike Shop Drupal Template is not for beginners to code. You do need some familiar understanding of HTML, PHP, and CSS. But for those who do have this knowledge, this Drupal Theme can be powerful. It comes with an admin panel and lets you design a blog, forum, or portfolio around it with a wide variety of free plugins. You can expect this bold template to load your pages faster since it is likely to be less resource-intensive than WordPress or Joomla templates. 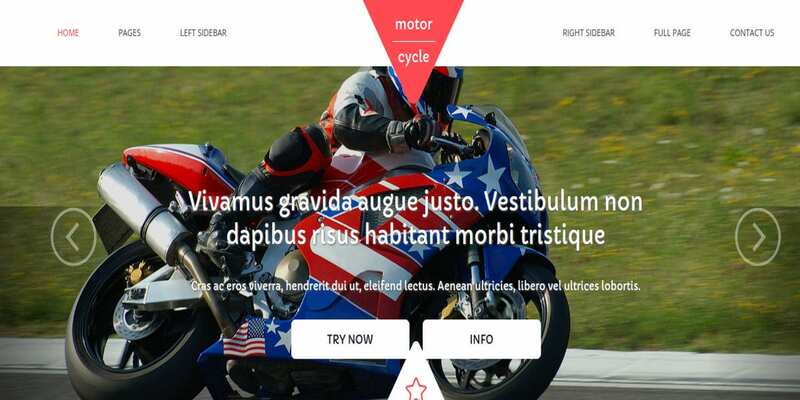 Motorsport is yet another HTML5 Template with a light design built on the bootstrap framework. It comes with a slider to showcase images and products, includes lightbox and portfolio features, is social media ready, and includes table styles and typography customizations. It also includes a web store, over 100 shortcodes, and valid coding for lighter loading. The Blacktop web template for WordPress stands out with its cool and modern dark color palette. The standard version for $69 includes a stylized home page, theme-specific pages, and some bells and whistles. 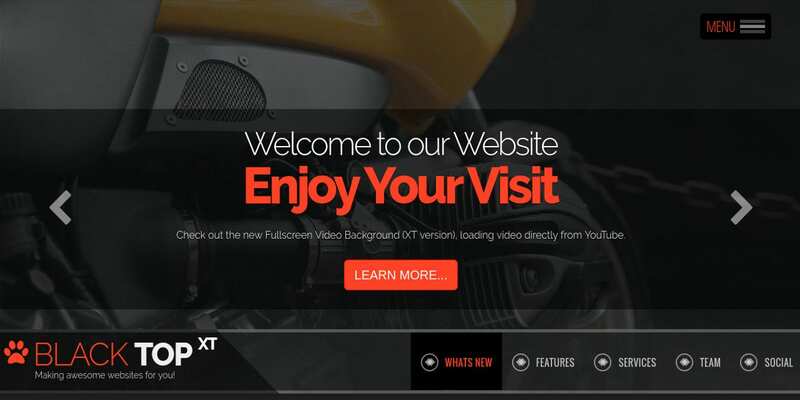 You can see the template’s attention to detail in its styled text logo, a beautiful in-page menu, the option to add a full page video background of your motorcycle, social media icons, stylized content regions, and more. 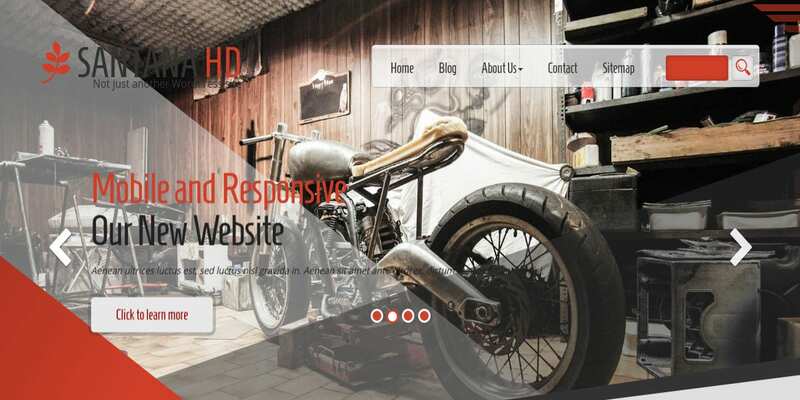 This attractive Joomla Template is custom-built for online auto magazines and auto services. It includes a stylish dark background with feature blocks that are clearly defined and easy on the eye. The contrasting accent colors make a good impact. It is bootstrapped and comes with 22 fully collapsible module positions. It also includes AS responsive menu, AS art slider, and other useful features. Santana is a gorgeous light theme with just the right amount of contrasting bold colors to give the design an edge. The standard package comes with custom post types, over eight page layouts to get started with, and several sliders for a smooth and fluid experience on mobile devices. The theme is built on the powerful Aquila framework with enhanced blog layouts, premium image sliders (up to 6), over 20 WordPress widgets, over 15 sidebar regions and more. 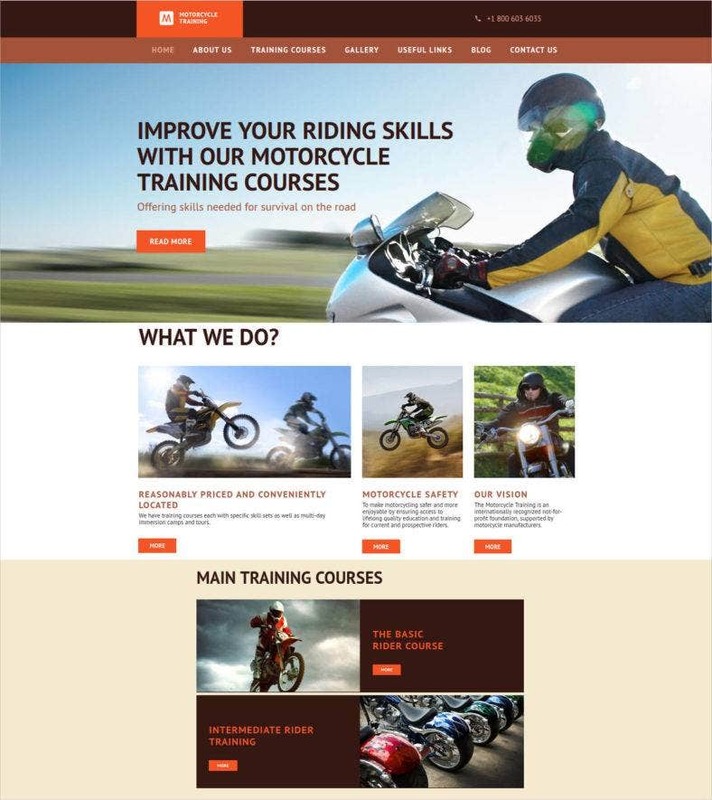 Modern motorcycle Blog Website Templates tend to use bold or cool metallic color palettes, and plenty of bells and whistles like sliders, hover action, and video backgrounds to best showcase the magnificent vehicles. 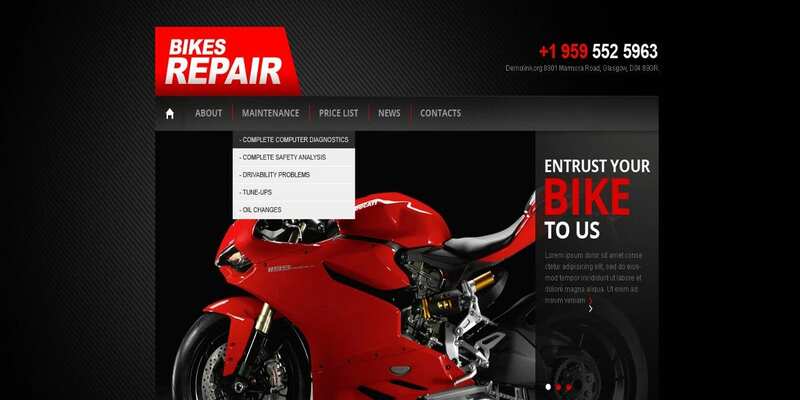 Both motorcycle and auto repair shops and bike enthusiasts can find a suitable template for their needs in the list above.